Switzerland delivered a statement on behalf of 35 countries at the UN First Committee on Disarmament and International Security concluding that, “All States must intensify their efforts to outlaw nuclear weapons and achieve a world free of nuclear weapons”. This follows a similar joint statement delivered at the Non-Proliferation Treaty (NPT) Preparatory Committee in Vienna in May 2012. The number of states behind the call for a prohibition on nuclear weapons on the basis of their humanitarian impact has more than doubled in the six months that have passed since that meeting with 19 new countries signing up to support the most recent statement. The government of Norway will host a conference to consider different aspects of the humanitarian impact of a nuclear weapon detonation. The meeting will take place from 4-5 March 2013 in Oslo. 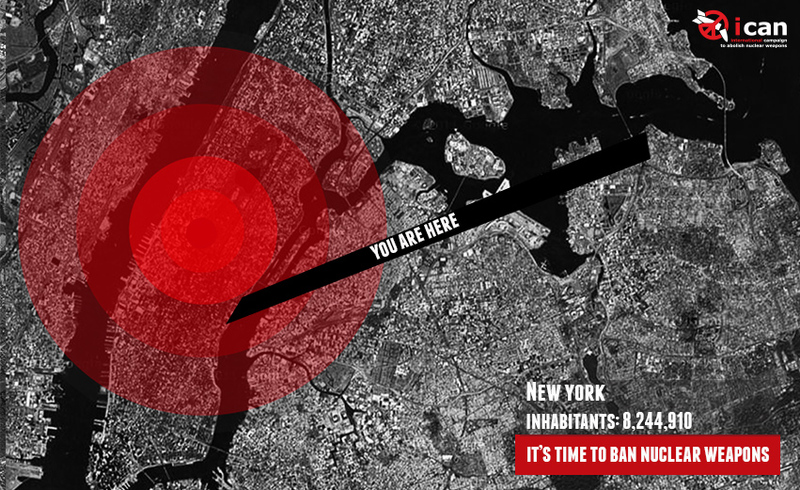 The International Campaign Against Nuclear Weapons (ICAN) has welcomed the initiative and is mobilizing ahead of the conference, including with a Civil Society Forum on 2-3 March in Oslo. The group of 35 states also emphasized that “civil society plays a crucial role in raising the awareness about the devastating humanitarian consequences as well as the critical IHL implications of nuclear weapons”. Algeria, Argentina, Austria, Bangladesh, Belarus, Brazil, Chile, Colombia, Costa Rica, Denmark, Ecuador, Egypt, Holy See, Iceland, Indonesia, Ireland, Kazakhstan, Liechtenstein, Malaysia, Malta, Marshall Islands, Mexico, New Zealand, Nigeria, Norway, Peru, the Philippines, Samoa, Sierra Leone, South Africa, Swaziland, Switzerland, Thailand, Uruguay and Zambia.